Carlos S. Alvarado has a Ph.D. in psychology from the University of Edinburgh, and holds masters degrees in parapsychology (MS, John F. Kennedy University), and in history (MA, Duke University). His work has centered on survey research (on out-of-body experiences and other psychic experiences) and studies about the history of psychical research. Alvarado is a Research Fellow at the Parapsychology Foundation, and Adjunct Research Faculty at Sofia University (formerly Institute of Transpersonal Psychology). He is on the editorial boards of the Journal of Near-Death Studies and the Journal of the Society for Psychical Research, and is the Book Review Editor of the Journal of Parapsychology, and an Associate Editor of the Journal of Scientific Exploration. Alvarado is also the recipient of the 2010 Parapsychological Association’s Outstanding Contribution Award, the Parapsychological Association 2017 Outstanding Career Award, and the 2010 Harold and Sherry Crasilneck Award for Best First Paper on Hypnosis published in the American Journal of Clinical Hypnosis. 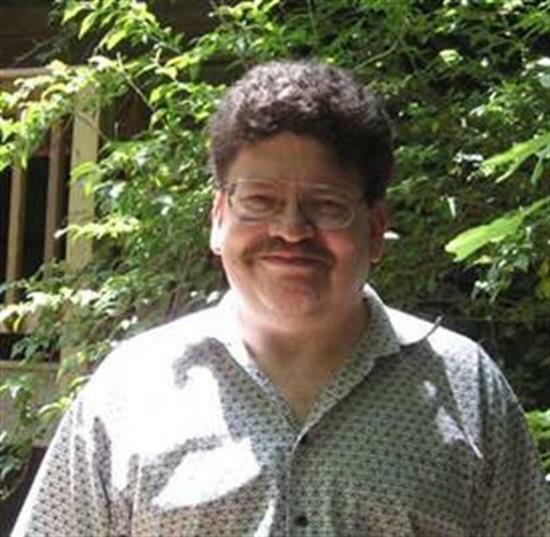 He structures the Parapsychology Foundation online conferences and forums, recruits faculty for the annual Parapsychology: Research and Education free online course (also called the “ParaMOOC” series), as well as provides support for the Eileen J. Garrett Library through preparing title acquisition lists and serving as a consultant. He is one of the editors of Research in Parapsychology 1993 (Lanham, MD: Scarecrow Press, 1998) and the author of booklets for introducing parapsychology to the general public (Getting Started in Parapsychology. New York: Parapsychology Foundation, 2002; Apuntes para una Introducción a la Parapsicología. New York: Parapsychology Foundation, 1999). His scientific and scholarly work has been published in psychology, psychiatry, and parapsychology journals. The 44th Convention of the Parapsychological Association: Proceedings of Presented Papers. Raleigh, NC: Parapsychological Association. (Third editor, with N.L. Zingrone, M.J. Schlitz, and J. Milton). Research in Parapsychology 1993. Lanham, MD: Scarecrow Press. Getting Started in Parapsychology. New York: Parapsychology Foundation. *Lange, R., Maraldi, E. d. O., Zangari, W., Corredato, V., Machado, F. R., & Alvarado, C. S. A cross-cultural validation of the revised transliminality scale in Brazil. Psychology of Consciousness: Theory, Research, and Practice, 5, 414-424. *Note on the intellectual work of William Stainton Moses. Journal of Scientific Exploration, 32, 592-603. *Table turning in the early 1850s: The séance reports of Agénor de Gasparin. Journal of Scientific Exploration, 32, 702-741. *Fragments of a life in psychical research: The case of Charles Richet. Journal of Scientific Exploration, 32, 55-78. *(second author, with E. de Oliveira Maraldi). Classic Text No. 113: Final chapter, From India to the Planet Mars: A Study of a Case of Somnambulism with Glossolalia, by Théodore Flournoy (1900). History of Psychiatry, 29, 110-125. Experimenter and other effects in the historical séance literature. Mindfield, 10(1), 36-39. Articles about the history of parapsychology and related matters (Part 1). Mindfield, 10(2), 73-76. (with M. Biondi). Classic Text No. 110: Cesare Lombroso on mediumship and pathology. History of Psychiatry, 28, 225–241. Telepathy, mediumship and psychology: Psychical research at the international congresses of psychology, 1889–1905. Journal of Scientific Exploration, 31, 255-292. The history of parapsychology: A brief bibliography: Part 2. Mindfield, 9(1), 14-17. Psychic phenomena and the brain hemispheres: Some nineteenth century publications. Journal of Scientific Exploration, 30, 559–585. Classic Text No. 107: Joseph Maxwell on mediumistic personifications. History of Psychiatry, 27, 350-366. Classic Text No. 105: ‘Report of the Committee on Mediumistic Phenomena,’ by William James (1886). History of Psychiatry, 27, 85-100. On psychic forces and doubles: The case of Albert de Rochas. Journal of Scientific Exploration, 30, 63-84. Out-of-body experiences during physical activity: A report of four new cases. Journal of the Society for Psychical Research, 80, 1-12. On Marc Thury’s Les Tables Tournantes. Journal of Scientific Exploration, 30, 227-230. Communication from “spirits” about life on other planets. [Letter to the editor]. Journal of the Society for Psychical Research, 80, 58-62. Eugène Osty on Out-of-Body Experiences [Letter to the editor]. Journal of the Society for Psychical Research, 80, 121-124. On an early “mechanical test of spiritual force [Letter to the editor]. Journal of the Society for Psychical Research, 80, 191-192. Parapsychology and the study of the mind: Changing the historical record. Mindfield, 8(1), 20-24. Telepathic emissions: Edwin J. Houston on “Cerebral Radiation.” Journal of Scientific Exploration, 29, 467-490. (second author, with N.L. Zingrone and G.H. Hövelmann). An overview of modern developments in parapsychology. In E. Cardeña, J. Palmer, & D. Marcusson-Clavertz, (Eds. ), Parapsychology: A Handbook for the 21st Century (pp. 13-29). Jefferson, NC: McFarland. (first author, with N.L. Zingrone). Note on the reception of Théodore Flournoy’s Des Indes à le Planète Mars.Journal of the Society for Psychical Research, 79, 156-164. (second author, with N.L. Zingrone). A brief history of psi research. In E.C May & S.B. Marwaha (Eds. ), Extrasensory Perception: Support, Skepticism, and Science: Vol. 1: History, Controversym and Research (pp. 35-79). Santa Barbara, CA: Praeger. (first author, with N.L. Zingrone). (2015). Features of out-of-body experiences: Relationships to frequency, wilfulness and previous knowledge about the experience.Journal of the Society for Psychical Research, 79, 98-111. Note on an early physiological index of ESP: John E. Purdon’s observations of synchronous pulse rates.Journal of Scientific Exploration, 29, 109-123. Psychic reach of the war: Comments on Psychical Phenomena and the War, by Hereward Carrington.Paranormal Review, 76, 18-20. Introduction. In E. Haraldsson & L.R. Gissurarson, Indridi Indidason: The Icelandic Physical Medium(pp. xiii-xvii). Hove, UK: White Crow Books. (first author, with E. de O. Maraldi, F.R. Machado, & W. Zangari). Théodore Flournoy’s contributions to psychical research.Journal of the Society for Psychical Research, 78, 149-168. (Second author, with E. Cardeña). Anomalous self and identity experiences. In E. Cardeña. S.J. Lynn, & S. Krippner (Eds. ),Varieties of Anomalous Experiences(2nd ed., 175-212). Washington, DC: American Psychological Association. Mediumship, psychical research, dissociation, and the powers of the subconscious mind.Journal of Parapsychology, 78, 98–114. (Third author, with P. Le Maléfan, R. Evrard). Spiritist delusions and spiritism in the nosography of French psychiatry (1850-1950).History of Psychiatry, 24, 477-491. (First author, with R. Evrard). Nineteenth century psychical research in mainstream journals: The Revue Philosophique de la France et de l’Étranger.Journal of Scientific Exploration, 27, 655-689. Mediumship and psychical research. In C. Moreman (Ed. ), The Spiritualist Movement: Speaking with the Dead in America and Around the World (Vol. 2, pp. 127-144). Santa Barbara, CA: Praeger. Studying Ernesto Bozzano: Suggestions for future historical studies. Journal of the Society for Psychical Research, 77, 147-163. (Second author, with K. Harris). A review of qualitative mediumship research. In A. Rock (Ed. ),The Survival Hypothesis: Essays on Mediumship (pp. 196-219). Jefferson, NC: McFarland. The future of the field of mediumship. In A. Rock (Ed. ), The Survival Hypothesis: Essays on Mediumship (pp. 285-287). Jefferson, NC: McFarland. (First author, with N.L. Zingrone). Classic Text No. 90: ‘The Pathology and Treatment of Mediomania’, by Frederic Rowland Marvin (1874).History of Psychiatry, 23, 229-244. Explorations of the features of out-of-body experiences: An overview and critique of the work of Robert Crookall.Journal of the Society for Psychical Research,76, 65-82. Distortions of the past. Journal of Scientific Exploration, 26, 147–168. (First author, with R. Evrard). The psychic sciences in France: Historial notes on the Annales des Sciences Psychiques.Journal of Scientific Exploration,26, 117–140. Panoramic memory, affect, and sensations of detachment in the dying: Discussions published in France, 1889-1903.Journal of Near-Death Studies,30, 65-82. Psychic phenomena and the mind-body problem: Historical notes on a neglected conceptual tradition. In A. Moreira-Almeida and F.S. Santos (Eds. ), Exploring Frontiers of the Mind-Brain Relationship (pp. 35-51). New York: Springer Science+Business Media. (second author, with E. Cardeña). Altered consciousness from the age of Enlightenment through mid-20th century. In E. Cardeña and M. Winkelman (Eds. ),Altering Consciousness: Multidisciplinary Perspectives: History, Culture and the Humanities(Vol. 1, pp. 89-112). Santa Barbara, CA: Praeger. (first author, with M. Nahm). Introduction to Hereward Carrington’s “Vital Energy and Psychical Phenomena.”Journal of the Society for Psychical Research,75, 91-103. Eusapia Palladino: An autobiographical essay. Journal of Scientific Exploration, 25, 77-101. Upholding psychical research in front of psychologists: An excerpt from a paper by Charles Richet at the Fifth International Congress of Psychology (Rome, 1905).Psypioneer Journal, 7, 79-88. (first author, with Stanley Krippner). Nineteenth century pioneers in the study of dissociation: William James and psychical research.Journal of Consciousness Studies, 17, 19-43. *Classic text No. 84: ‘Divisions of personality and spiritism’ by Alfred Binet (1896).History of Psychiatry, 21, 487-500. “The dying mother:” Historical citations of Mary Goffe’s seventeenth-century near-death apparition.Journal of Near-Death Studies, 29, 241-253. Investigating mental mediumship: Research suggestions from the historical literature.Journal of Scientific Exploration, 24, 197-224. (first author, with N.L. Zingrone). Variables relacionadas con experiencias parapsicológicas: La absorción y los sueños [Variables related to parapsychological experiences: Absorption and dreams].Ciencias de la Conducta, 25, 115-137. Nineteenth-century suggestion and magnetism: Hypnosis at the International Congress of Physiological Psychology (1889).Contemporary Hypnosis, 27, 48-60. (second author, with Zingrone, N.L., & Cardeña, E.) Out-of-body experiences, physical body activity and posture: Responses from a survey conducted in Scotland.Journal of Nervous and Mental Disease,198, 163-165. Online resources for the history of out-of-body experiences and death-related phenomena.Journal of Near-Death Studies, 28, 143-162. (second author, with N.L. Zingrone & N. Agee). Psychological correlates of aura vision: Psychic experiences,dissociation, absorption, and synaesthesia-like experiences.Australian Journal of Clinical and Experimental Hypnosis, 37, 131-168. Ambroise August Liébeault and psychic phenomena. American Journal of Clinical Hypnosis, 52, 111-121. Modern animal magnetism: The work of Alexandre Baréty, Émile Boirac, and Julian Ochorowicz.Australian Journal of Clinical and Experimental Hypnosis, 37, 1-15. Late nineteenth and early twentieth century discussions of animal magnetism. International Journal of Clinical and Experimental Hypnosis, 57, 366-381. (second author, with N.L. Zingrone). Pleasurable Western adult near-death experiences: Features, circumstances and incidence. In J.M. Holden, B. Greyson, & D. James (Eds. ),The Handbook of Near-Death Experiences(pp. 17-40). Santa Barbara, CA: Praeger. Psychical research in the Psychological Review, 1894-1900: A bibliographical note.Journal of Scientific Exploration, 23, 211-220. Nineteenth-century hysteria and hypnosis: A historical note on Blanche Wittmann.Australian Journal of Clinical and Experimental Hypnosis, 37, 21-36. (first author, with N.L. Zingrone & N. Agee). Experiencias parapsicológicas y de despersonalización: Una encuesta con una muestra norteamericana de la comunidad [In Spanish: Parapsychological and depersonalization experiences: A survey with a North-American community sample]. In F.E. da Silva (Ed. ), V Encontro Psi: A Variedade das Experiencias Humanas(pp. 90-93). Brasil: Destak Gráfica for Instituto Pernabucano de Pesquisas Psicobiofísicas and Faculdades Integradas “Espírita,” Campus Universitairo Bezerra de Menezes. Discussing parapsychology at Utrecht: The First International Conference of Parapsychological Studies. In C.A. Roe, W. Kramer & L. Coly (Eds. ),Utrecht II: Charting the Future of Parapsychology(pp. 245-288). New York: Parapsychology Foundation / The Netherlands: Het Johan Borgmanfonds Foundation. Early and modern developments in the psychological approach to out-of-body experiences. In C.D. Murray (Ed. ),Psychological Scientific Perspectives on Out-of-Body and Near-Death Experiences(pp. 1-22). New York: Nova Science. The spirit in out-of-body experiences: Historical and conceptual notes. In B. Batey (Ed. ),Spirituality, Science and the Paranormal (pp. 3-19). Bloomfield, CT: Academy of Spirituality and Paranormal Studies. Note on Charles Richet’s “La Suggestion Mentale et le Calcul des Probabilités” (1884).Journal of Scientific Exploration, 22, 543-548. (First author, with N.L. Zingrone). Out-of-body experiences and headaches: A research note.Journal of the Society for Psychical Research, 72, 107-110. A list of online materials for the historical study of psychical research and related subjects.Journal of Scientific Exploration, 22, 396-407. Mesmerism online: A bibliographic review. Australian Journal of Clinical and Experimental Hypnosis, 36, 115-120. Note on online books and articles about the history of dissociation. Journal of Trauma and Dissociation, 9, 107-118. (first author, with N.L. Zingrone). Ian Stevenson and the modern study of ESP experiences.Journal of Scientific Exploration, 22, 44-53. (first author, with N.L. Zingrone). Interrelationships of psychic experiences, dream recall and lucid dreams in a survey with Spanish participants.Imagination, Cognition and Personality, 27, 63-69. (second author, with A. Moreira-Almeida, & W. Zangari). Transtornos dissociativos (ou conversivos) [Dissociative (or conversion) disorders]. In M. Rodrigues, L. Neto, & H. Elkis (Eds. ),Psiquiatria Basica (2nd ed., pp. 285-297). Porto Alegre, Brazil: Artmed. Online historical materials about psychic phenomena. Journal of Scientific Exploration, 21, 607-615. (with F.R. Machado, W. Zangari, & N.L. Zingrone). Perspectivas históricas da influência da mediunidade na construção de idéias psicológicas e psiquiátricas [In Portuguese: Historical perspectives of the influence of mediumship on the construction of psychological and psychiatric ideas]. Revista de Psiquiatria Clínica, 34 (supp.1), 42-53. Remarks on Ernesto Bozzano's La Psiche Domina la Materia. Journal of Near-Death Studies, 25, 189-195. On the use of the term out-of-body experience. Journal of the Society for Psychical Research, 71, 100-103. Human radiations: Concepts of force in mesmerism, spiritualism and psychical research.Journal of the Society for Psychical Research, 70, 138-162. (First author, with W. Kramer). Note on the term telergy. Journal of the Society for Psychical Research, 70, 170-176. (First author, with M. Biondi & W. Kramer). Historical notes on psychic phenomena in specialised journals.European Journal of Parapsychology, 21, 58-87. Neglected near-death phenomena. Journal of Near-Death Studies, 24, 131-151. Research on non-pathological dissociation. Ciencias de la Conducta, 20, 31-56. (second author, with E. Kelly). Frederic William Henry Myers, 1843-1901. American Journal of Psychiatry, 162, 34. Revision histórica del concepto de la radiación humana [Historical review of the concept of human radiation].Revista Argentina de Psicologia Paranormal, 15, 9-30. The concept of survival of bodily death and the development of parapsychology.Journal of the Society for Psychical Research, 67, 65-95. (first author, with N.L. Zingrone). Exploring the factors related to the aftereffects of out-of-body experiences.Journal of the Society for Psychical Research, 67, 161-183. French mesmerism and hypnosis [books online]. Psychological Hypnosis, 12(3), 5-8. Reflections on being a parapsychologist. Journal of Parapsychology, 67, 211-248. (third author, with M. Francia Martínez, I. Roca de Torres, A. Martínez-Taboas, and S. Sayer). Dissociation, depression and trauma in psychiatric inpatients in Puerto Rico.Journal of Trauma and Dissociation, 4, 47-61. Dissociation in Britain during the late nineteenth century: The Society for Psychical Research, 1882-1900.Journal of Trauma and Dissociation, 3, 9-33. Guest editorial: Thoughts on the study of spontaneous cases. Journal of Parapsychology, 66, 115-125. (first author, with A. Martínez-Taboas). Parapsicología: Mitos y falacias que todo psicólogo debe reconocer [Parapsychology: Myths and fallacies that all psychologists should know].Revista Puertorriqueña de Psicología, 13, 99-125. (second author, with N.L. Zingrone). The Dissociative Experiences Scale-II: Descriptive statistics, factor analysis, and frequency of experiences.Imagination, Cognition and Personality, 21, 145-157. Eileen J. Garrett’s continued “adventures.” In E.J. Garrett, Adventures in the Supernormal(pp. 181-186). New York: Helix Press. Features of out-of-body experiences in relation to perceived closeness to death.Journal of Nervous and Mental Disease, 189, 331-332. Getting started in parapsychology: A brief overview of English language materials. International Journal of Parapsychology, 11(1), 199-211. Introduction to Michael Faraday’s essay on table-moving. International Journal of Parapsychology, 11(1), 153-163. Introduction to Ernesto Bozzano’s analysis of hauntings and poltergeist cases.International Journal of Parapsychology, 11(2), 161-166. Out-of-body experiences. In E. Cardeña, S.J. Lynn, & S. Krippner (Eds. ), Varieties of anomalous experiences(pp. 183-218). Washington, DC: American Psychological Association. La percepción extrasensorial y la alteración de conciencia: Una nota metodológica y conceptual con respecto al ganzfeld [In Spanish: Extrasensory perception and alteration of consciousness: A methodological and conceptual note in relation to the ganzfeld].Revista Argentina de Psicología Paranormal, 11, 41-57. (First author, with N.L. Zingrone). Out-of-body experiences among readers of a Spanish New Age magazine.Journal of the Society for Psychical Research, 63, 65-85. Education in parapsychology: Selected Bibliography. In Education and parapsychology(pp. 73-78). New York: Parapsychology Foundation. Selected bibliography. In A Brief Manual for Work in Parapsychology (pp. 135-142). New York: Parapsychology Foundation. (First author, with N.L. Zingrone & K. Dalton). Out-of-body experiences: Alterations of consciousness and the five-factor model of personality.Imagination, Cognition and Personality, 18, 297-317. (Second author, with N.L. Zingrone & K. Dalton). Psi experiences and the “Big Five”: Relating the NEO-PI-R to the experience claims of experimental subjects.European Journal of Parapsychology, 14, 31-51. (First author, with N.L. Zingrone). A study of the features of out-of-body experiences in relation to Sylvan Muldoon’s claims.European Journal of Parapsychology, 14, 89-99. (First author, with N.L. Zingrone). Anomalías de interacción con el ambiente: El estudio de los fenómenos parapsicológicos [In Spanish: Anomalies of interaction with the environment: The study of parapsychological phenomena].Revista Puertorriqueña de Psicología, 11, 99-147. ESP and altered states of consciousness: An overview of conceptual and research trends.Journal of Parapsychology, 62, 27-63. (First author, with N.L. Zingrone). La experiencia fuera del cuerpo y su influencia sobre actitudes y creencias: El impacto de la complejidad fenomenológica de la experiencia [Out-of-body experiences and their influence on attitudes and beliefs: The impact of the phenomenological complexity of the experience]. In A. Parra (Ed. ), Tercer Encuentro Psi 1998: Conciencia y psi como fronteras de exploración científica (pp. 6-13). Buenos Aires: Instituto de Psicología Paranormal. Sleepwalking and spontaneous parapsychological experiences: A research note. Journal of Parapsychology, 62, 349-351. (First author, with R.A. White). A bibliography of the publications of Karlis Osis.Journal of the American Society for Psychical Research, 92, 233-240. La experiencia fuera del cuerpo en Brasil: Comentarios sobre el trabajo de J.F. Brelaz de Castro [In Spanish: Out-of-body experiences in Brazil: Comments on the work of J.F. Brelaz de Castro].Revista Argentina de Psicología Paranormal, 9, 129-135. La investigación parapsicológica en Iberoamérica [In Spanish: Parapsychological research in Ibero America].Boletín Informativo AIPA, 2(1), 1. (First author, with N.L. Zingrone, & F.R. Machado). Métodos de investigación en parapsicología [Part 2] [In Spanish: Methods of research in parapsychology].Boletín Informativo AIPA, 2(1), 9-13. Nota sobre la psicología de percibir apariciones [In Spanish: Note on the psychology of perceiving apparitions].Revista Mexicana de Psicología Paranormal, 2, 244-250. Recollections and thoughts on Karlis Osis. Journal of the American Society for Psychical Research, 92, 214-218. (First author, with N.L. Zingrone). Factors related to the depth of near-death experiences: Testing the “embellishment over time” hypothesis.Imagination, Cognition and Personality, 17, 339-344. (First author, with N.L. Zingrone). Experiencias disociativas y sueños: Relación con frecuencia de recuerdo de sueños, sueños lúcidos y sueños vívidos [In Spanish: Dissociative experiences and dreams: Relationship with the frequency of dream recall, lucid dreams and vivid dreams]. Ciencias de la Conducta, 12, 17-43. Mapping the characteristics of out-of-body experiences. Journal of the American Society for Psychical Research, 91, 13-30. Socio-Economic Factors Affecting Parapsychology in Latin America: Introduction to the Symposium.Journal of the American Society for Psychical Research, 91, 96-102. (First author, with N.L. Zingrone). Out of body experiences and sensations of “shocks” to the body.Journal of the Society for Psychical Research, 61, 304-313. (Second author, with F.R. Machado). Sobre o provincianismo em Parapsicologia [In Portuguese: On provincialism in parapsychology]. In V. Da Rosa Borges (Ed. ),Anais do Primeiro Congresso Internacional e Brasileiro de Parapsicologia (pp. 77-88). Recife, Brasil: Instituto Pernambucano de Pesquisas Psicobiofísicas. (First author, with N.L. Zingrone). Relación entre la experiencia fuera del cuerpo y la absorción: Estudios con participantes Puertorriqueños y Norteamericanos [In Spanish: Relationship between out-of-body experiences and absorption: Studies with Puerto Rican and American participants]. Revista Argentina de Psicología Paranormal, 8, 249-261. Encuesta de fenómenos parapsicológicos en Brasil: Comentarios sobre “Incidencia e Importancia Social de las Experiencias Psíquicas en los Estudiantes Universitarios Brasileiros,” por Wellington Zangari y Fátima Regina Machado [In Spanish: A survey of parapsychological phenomena in Brazil: Comments on “Incidence and social importance of psychic experiences in Brazilian university students,” by Wellington Zangari y Fátima Regina Machado]. Revista Argentina de Psicología Paranormal, 7, 99-109. *Exploring the features of spontaneous psychic experiences. European Journal of Parapsychology, 12, 61-74. (First author, with N.L. Zingrone). The forgotten phenomena of parapsychology. EHE News, 3, 22-24. Hacia una parapsicología científica en América Latina [In Spanish: Towards a scientifc parapsychology in Latin America]. Revista Argentina de Psicología Paranormal, 7, 223-233. (First author, with N.L. Zingrone). La parapsicología y las tradiciones espiritistas y ocultistas: Ampliando el alcance del estudio de las experiencias humanas [In Spanish: Parapsychology and spiritist and occultist traditions: Enlarging the scope of the study of human experiences]. In A. Parra (Ed. ), Segundo Encuentro Psi 1996 (pp. 23-27). Buenos Aires: Instituto Argentino de Psicología Paranormal. *The place of spontaneous cases in parapsychology. Journal of the American Society for Psychical Research, 90, 1-34. *Proof and process approaches to the study of spontaneous phenomena. Journal of the Society for Psychical Research, 61, 221-234. Carlos S. Alvarado updated their profile. Carlos S. Alvarado published New Article About Eleanor M. Sidgwick. Carlos S. Alvarado published Charles Richet'a Psychic Autobiography. Carlos S. Alvarado published New Entries in the Psi Encyclopedia. Carlos S. Alvarado updated New Article About Eleanor M. Sidgwick. Carlos S. Alvarado published Flournoy’s From India to the Planet Mars Revisited. Carlos S. Alvarado updated Precognition Discussed in a Psychology Journal. Carlos S. Alvarado published ParaMOOC 2018: Online Parapsychology Lectures. Carlos S. Alvarado published The Past Literature of Parapsychology: A Reading Guide: II.*. Carlos S. Alvarado published The Past Literature of Parapsychology: A Reading Guide: I. *.